Due to the increased level of interest in Wilfrid Gibson as a war poet, I have decided — as his grand-daughter, and trustee of his literary estate — to provide some basic biographical information. There is a great deal of misinformation about him on the internet and elsewhere. In 2014, in an issue commemorating the outbreak of the First World War, a national British newspaper included with one of his poems a brief biography that was incorrect in almost every detail. (It has since been corrected.) In particular, please note that Gibson enlisted in the army as a private in 1917, but never fought on the front line. He served in England, as a driver and clerk. He wrote about his own experiences in the Army after joining up, but most of his well-known war poems were written earlier in the War, based on stories he had read or heard, and his own imagination. The information below is almost entirely based on official documents and contemporary letters between Gibson and others. If you find any mistakes , or think I have omitted anything important, please let me know: judy[at]judygreenway[dot]org[dot]uk. Copyright information on Gibson’s work. Download Wilfrid Gibson timeline and biographical information as a Word doc. This work is licensed under a Creative Commons Attribution-NonCommercial 4.0 International License. Wilfrid Wilson Gibson was born in 1878 in Hexham, Northumberland, where he lived until 1912. He was the youngest of eight surviving children. His mother was Elizabeth Judith Frances Gibson (née Walton). His father, John Pattison Gibson was a chemist (pharmacist) with his own small business, as well as a keen photographer and amateur archaeologist. Gibson attended local schools, and later said that he wrote his first poem aged 10, about a school bully. According to him his formal schooling ended at the age of 13 or 14, and from then on the main person responsible for his education was his sister Elizabeth, herself also a poet. As he grew up, Gibson helped out in the family shop, and also assisted with his father’s photographic and archaeological activities. He began to get his work published in local newspapers when he was 13, and by the late 1890s he had decided he wanted to be a poet. In 1901, he won a competition to have one of his poems inscribed on a fountain in Hexham Market Square. In 1902, his mother died, and Gibson dedicated his first book of poems, Urlyn the Harper to her. Several more books of poetry and plays followed, and by 1910, when he published Daily Bread, he was becoming well-known in literary circles. In 1911, his sister Elizabeth married and left Hexham, and after their father died the following year, Gibson also headed south, to London, where he began to make contact with a wider circle of poets. Lodging at Harold Monro’s Poetry Bookshop, he met his future wife, Geraldine Townshend, who worked as Monro’s secretary. In 1913, Wilfrid and Geraldine married, and moved to Gloucestershire, where they became part of a group later known as the Dymock Poets. Gibson’s poems ‘Breakfast’, and ‘The Messages’ first published in October 1914, were among the war poems in his 1915 book Battle, which also included such other well-known poems as ‘Back’, and ‘Mangel Wurzels’. He was much affected by the war deaths that year of his friends, Rupert Brooke and Denis Browne and in November he attempted to volunteer for the army; he was rejected because of his poor health. He tried again the following January, and was again rejected as unfit. In late 1916/early 1917 he went on a reading tour of the USA. In late 1917, he finally passed his medical and joined the army as a private soldier — initially in the Motor Transport Corps, later as a medical clerk, based near London. He served until 1919. Rupert Brooke had left a share in the income from copyright of his poems to Gibson, which helped to ease the financially difficult post-war years. During the 1920s and after, Gibson continued to write, supplementing the family income with book reviewing and broadcasting. The Gibsons had three children: Audrey, born in 1916; Michael, born in 1918, and Jocelyn, born in 1920. They also cared for their grandson, Roland, after Audrey was killed in an accident in 1939. In 1920 the family moved to Saundersfoot in Wales, with subsequent moves to Letchworth in Hertfordshire, followed by London, Berkshire, and the Isle of Wight. After Geraldine died in 1950, Wilfrid moved with Roland to live with his son and daughter-in-law in Surrey, where he died in 1962. Wilfrid Wilson Gibson born in Hexham, Northumberland. Starts to get poems published in local press. Gibson poem is inscribed on new fountain in Hexham Market Square. His mother dies. His first book, ‘Urlyn the Harper’, is published. Other books of poetry and plays follow. ‘Daily Bread’ published. It is his biggest success to date. His father dies. 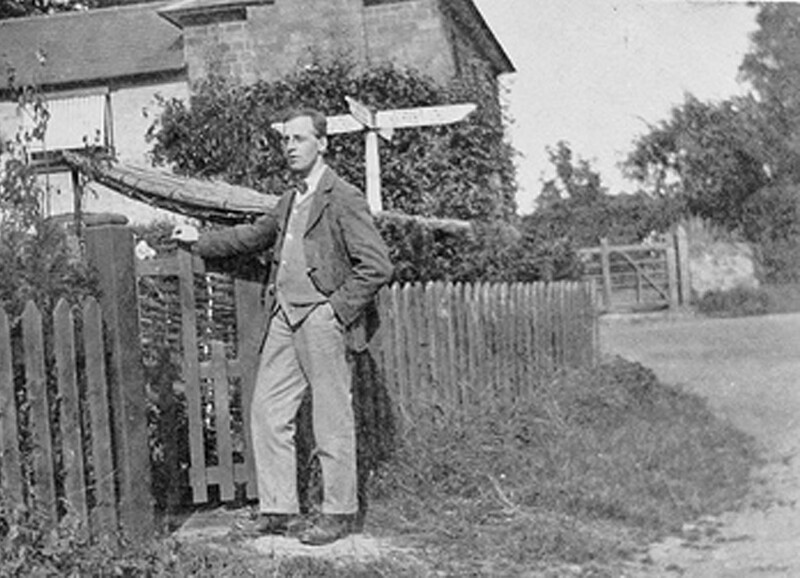 Wilfrid leaves the family home and moves to London. Meets Geraldine Townshend. Works as sub-editor on magazine Rhythm. Co-founder of journal New Numbers produced from Dymock in Gloucestershire. Marries Geraldine and moves to Greenway, near Dymock. April: death of his friend, poet Rupert Brooke. November: tries to enlist and rejected on health grounds. January: rejected by Army again — certified unfit. March: conscription introduced for single men 18 – 41. May: conscription extended to married men. Birth of first child, Audrey. December: the family leave Gloucestershire and move to West Malvern. Wilfrid leaves for the USA on poetry tour. Joins army as a private soldier. Family moves to Saundersfoot in Wales. Family moves to Letchworth, Hertfordshire. Daughter Audrey killed in accident. 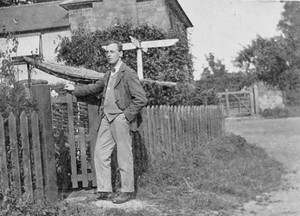 The Gibsons take in her baby son, Roland, and move to East Hendred, Berkshire. Move to Sandown, Isle of Wight. Publication of his last book, Within Four Walls. Moves to Surrey to live with his son and daughter-in-law. ‘War is a business of innumerable private tragedies’: Wilfrid Gibson, Elizabeth Gibson, and the First World War. Other reliable online resources include Dominic Hibberd’s 2004 Wilfrid Wilson Gibson (1878 – 1962). Another of his articles discussing Gibson is A Note on the Origins of 1914-18 ‘War Poetry’, which can be read online or downloaded as a pdf. See also Tim Kendall’s 2012 Wilfrid Gibson: ‘Breakfast’. Roger Hogg’s valuable PhD thesis from 1989, Wilfrid Wilson Gibson, People’s Poet is now available online or to download as a pdf. In my youth I spent many months [at St Abbs Head, Berwickshire] at the home of an old friend [Jane Hay]. It has been the source of quite a number of my poems. It was in that house I met a man who had gone to Flannan Isle, to find out the cause of the lighthouse not working. I think the first lighthouse I was able to explore was the St Abbs Head one.